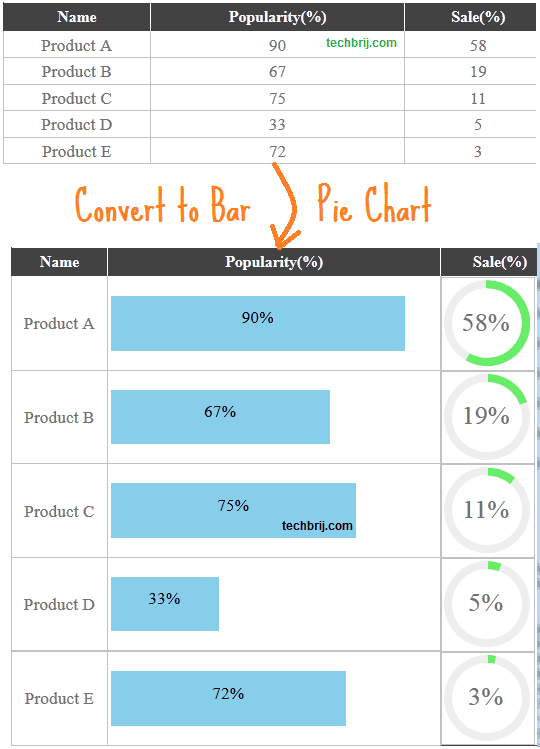 Here barChart CSS class is used on second column for bar chart and pieChart CSS class is used on third column for pie chart. If you are using asp.net GridView, You can apply same classes. The logic is to set width of div according to data. Now the logic is to change -prefix-transform property according to data to rotate. thanks for posting this code, how can i insert jquery code into asp c#. newbie here. thanks a lot.